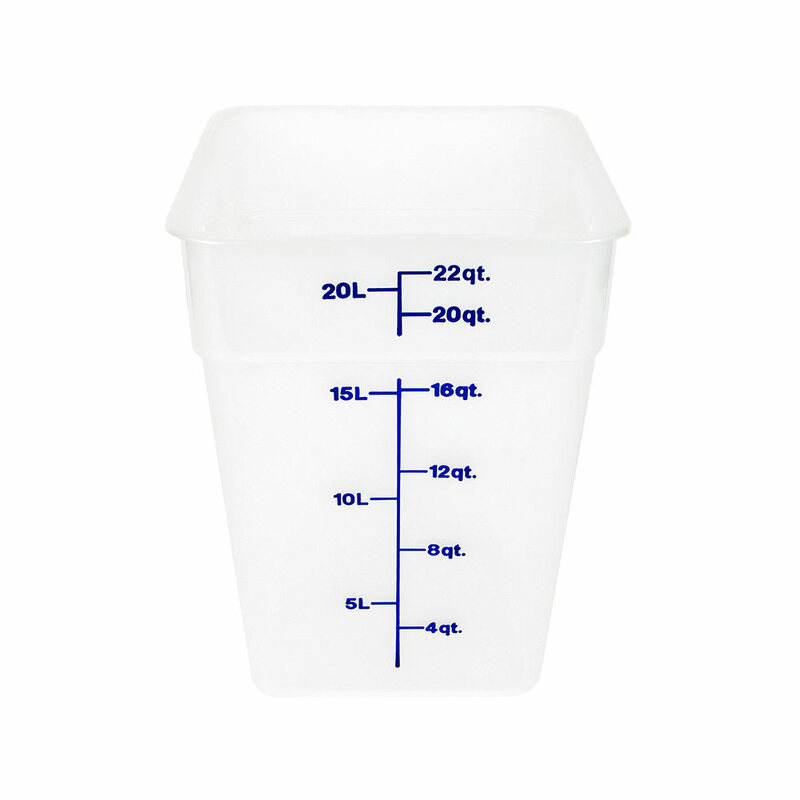 The Cambro 22SFSPP190 CamSquare® food container is square, which is a more practical shape for storage when compared to round containers. Scratches and dents are resisted with the polypropylene construction, along with odors and stains. 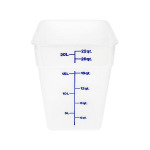 Blue graduations are printed on the exterior of the Cambro 22SFSPP190 CamSquare food container, so staff can measure product for portion control. The translucent material helps users monitor the product levels.